The Feed-in Tariff (FIT) scheme is a government backed initiative to encourage the installation of renewable electricity sources. The Feed-in Tariff is a financial incentive, provided to home and property owners who install renewable energy generation infrastructure, such as solar photovoltaic panels. The scheme pays you a fixed rate payment for every unit of electricity your system generates, even if you use the electricity to power your own home or building. If your home is energy efficient, you can export any excess electricity back in to the grid to receive a bonus payment, known as the export tariff. Feed-in Tariffs are paid for the production of renewable electricity, with a bonus payment provided for excess electricity that is put back in to the national grid. Payments for electricity produced by solar photovoltaic panels and used within your home are known as the generation tariff, and the bonus payments for excess electricity put back in to the grid are known as the export tariff. The feed-in tariff is locked in for 20 years from your eligibility date, and your tariff rate is fixed, so even if the FIT rates decrease, you will still receive the same rate as when you signed up. The rate that you will be eligible to receive is dependent on the size of your photovoltaic array, the date on which your solar panels were installed and the energy efficiency of your home. For the highest tariff rates, you will need an energy efficient home, with an EPC rating of D or higher. To qualify for the scheme, you must use an MCS certified solar panel installer with MCS approved solar panels. Why is there a Feed-in Tariff Scheme? As part of the 2009 EU Renewable Energy Directive, the UK must source at least 15% of its energy for heat, transport and electricity from renewable sources by the year 2020. In order to help meet this goal, the Feed-in Tariff scheme was introduced to increase the uptake of renewable electricity sources, such as solar photovoltaic panels, wind turbines, hydroelectricity, etc. When the Feed-in Tariff was introduced in 2010, it replaced the UK government grants as the main financial incentive for renewable electricity installation. What is the Generation Tariff? The Generation Tariff is the main element of the Feed-in Tariff, and is the payment that you will receive for every unit of electricity (kWh) produced by your solar panels. You will receive the generation tariff, even if you use all of the electricity your solar panels produce for powering your home. The generation tariff is influenced by the type of size of your solar photovoltaic system, as well as the energy rating of your home. Houses with a photovoltaic system no larger than 10kW and an EPC rating of D or higher will currently receive a generation tariff of 4.39p per kWh of electricity produced. The Export Tariff is a bonus payment, that is paid in addition to the Generation Tariff, for every unit of electricity (kWh) that you put back in to the national electricity grid. With the export tariff, you are effectively selling your surplus electricity back to the electricity supply company. The Export Tariff rewards energy efficient homes that use less electricity than their solar photovoltaic panels produce. If your solar panel installation does not have a smart meter, the export tariff is calculated based on 50% of your total solar electricity production. The export tariff rate is currently 4.85p for every kWh of electricity you put back in to the grid. Unlike the generation tariff, you can opt out of the fixed ‘floor price’ of 4.85p/kWh, and try to negotiate a higher payment with your electricity provider. The export tariff is the same for all types of renewable electricity production, and is not influenced by the size of your photovoltaic system or the EPC rating of your home. Higher Rate: The higher rate is payable when a property has an EPC rating of D or above and the owner does not have more than 25 FIT-registered solar panel installations. Medium Rate: The medium rate is provided to owners who have more than 25 FIT-registered solar photovoltaic installations. The medium rate is calculated as 90% of the higher rate. 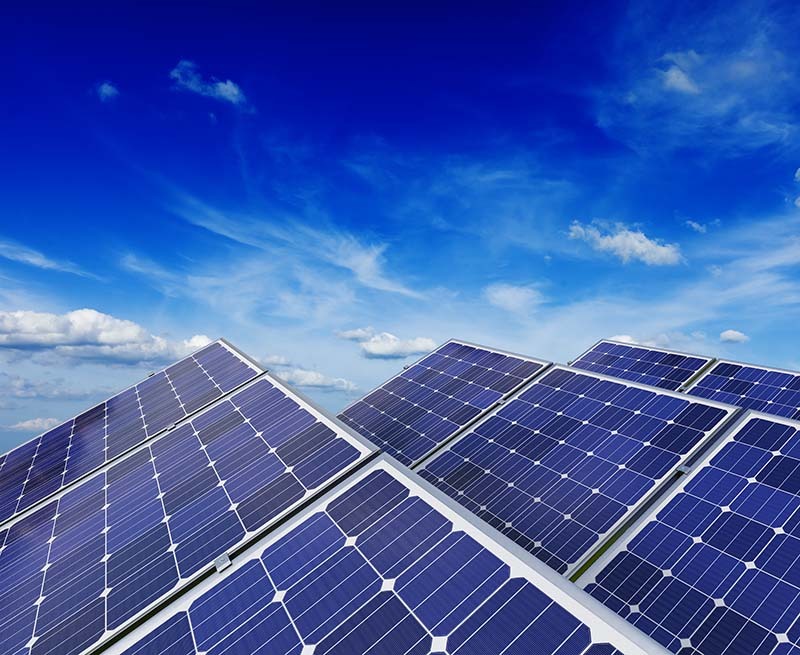 Lower Rate: The lower rate is paid when a system of any size (up to 5MW) is built to power a property or building, but the building has an energy rating (EPC) of less than D. Stand-alone systems are always paid on the lower rate of 0.87p/kWh, and solar arrays larger than 1MW also receive the lower rate. Stand-alone: When a solar panel array is not attached to a building, or not wired to provide electricity to a house, for example, a solar farm. Am I eligible for the Feed-in Tariff? In most cases, you will be eligible for the feed-in tariff scheme, however there are some exceptions, which can even prevent you from having solar panels installed at all. Generally, solar panels are regarded as a ‘permitted development’, meaning you do not require planning permission, however there are different rules for listed buildings and properties in conservation areas. If in doubt, check with your local council. The Feed-in Tariff scheme is designed to encourage and support all renewable electricity generation sources under 5MW, such as solar photovoltaic panels. If you are installing solar thermal panels, you are not eligible for the FIT scheme, but can take advantage of the Renewable Heat Incentive (RHI). 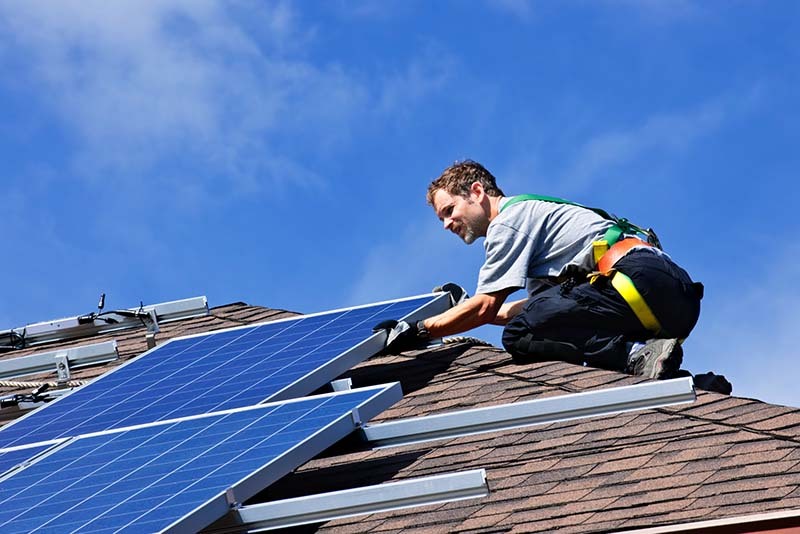 How much will I earn from the Feed-in Tariff? The amount of money you will make will depend on numerous factors, such as the size of your solar panel array, the amount of electricity your household uses and even the location where you live. Larger systems will create more electricity, so will receive higher feed-in tariff payments. Homes with an EPC rating of D or higher, and a solar photovoltaic array of 10kW or less will receive a generation tariff of 4.39p/kWh for every unit of electricity they generate and an export tariff of 4.85p/kWh for surplus electricity they put back in to the grid. Less energy efficient homes will receive a decreased generation tariff of just 0.87p/kWh. Your homes location within the UK will impact on your Feed-in Tariff earnings, as homes located further South have higher electricity yields than homes in the North. Below we will work out possible earnings for different sized solar panel arrays. These calculations will be based on a property in South of the UK (Brighton) with an unshaded southerly roof, and using the non-smart metered export tariff calculations of 50% the total energy produced. On top of this income from the Feed-in Tariff scheme, you will also save money on your electricity bills, reducing your electricity bills typically by around 50%. Who are the Feed-in Tariffs for? The feed-in tariff is available to anyone looking to generate electricity from a renewable energy source, such as solar photovoltaic panels. 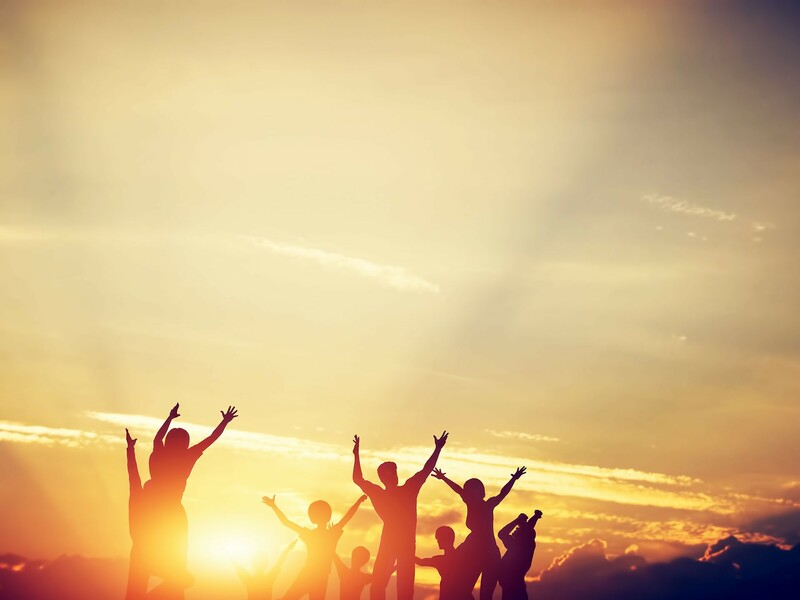 Corporations, landlords, businesses, sole traders and home owners can all take advantage of the great financial incentives provided by the feed in tariff scheme. What Renewable Energy systems are eligible? How long does the Feed-in Tariff payments last? The feed-in tariff lasts for 20 years. During this time, your FIT payment rates will be locked in, so future changes and decreases to the tariff rates will not affect your payments. Feed-in Tariff (FIT) scheme payments start on your ‘eligibility date’. Your eligibility date is the latter of either the date that your system was commissioned (installed) or the date you applied for the feed-in tariff scheme. Both the installation and application must be completed before the payments will begin, as neither is sufficient on its own. To start receiving your payments as soon as possible, we recommend sending away your FIT application as soon as you have completed all of the necessary paperwork. Is acceptance in to the Feed-in Tariff scheme automatic after my installation? No, the application is not automatically submitted. You will have to apply to join the feed-in tariff scheme by sending away the required documents. There is also basic criteria that you must fulfil (as mentioned above) in order to be accepted. Your installer can assist you with your application, if required. What is MCS and why is it important? 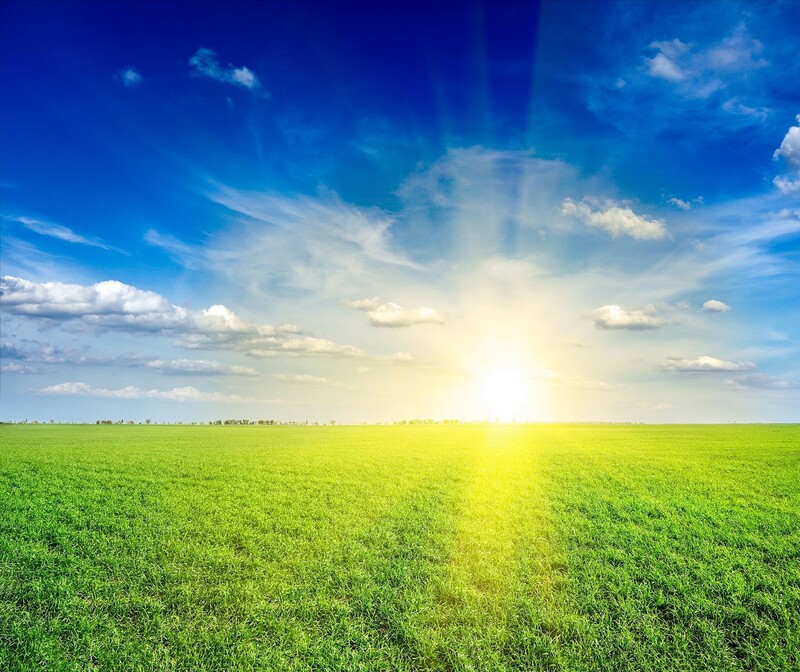 MCS stands for Microgeneration Certification Scheme, and is a nationally recognised quality assurance scheme, supported by the Department of Energy and Climate Change. To be eligible for the Feed-in Tariff scheme, you must choose an MCS certified solar panel installer and all of the materials used (including solar panels, inverter, etc.) must also be MCS certified. Choosing an MCS certified installer also ensures your installation is performed to the highest standards. Do I pay tax or VAT on the Feed-in Tariff payments? If your solar photovoltaic system’s electricity generation is mostly for use within your home, you do not need to pay tax on this income, as long as the amount of electricity does not significantly exceed the energy consumption of the house and the panels are installed on or near the home. Corporations, businesses, landlords, partnerships and sole traders all have to pay tax as part of their taxable income or corporation tax. Feed-in Tariff payments lie outside the scope of VAT, so you will not need to pay any VAT on your FIT payments. What is an EPC and why is it important? EPC stands for Energy Performance Certificate, and is a grade of how efficient your building is, based on a number of factors. The grading runs from A (for the most efficient houses) down to G (least efficient). In order to take advantage of the higher rate generation tariff of 4.39p/kWh, you will require an EPC rating of D or above. If your property has an EPC rating below D, you will receive the lower rate generation tariff of only 0.87p/kWh. As part of your application for the Feed-in Tariff scheme, you will require an EPC rating. Are there any other schemes or incentives available with Solar Panels? 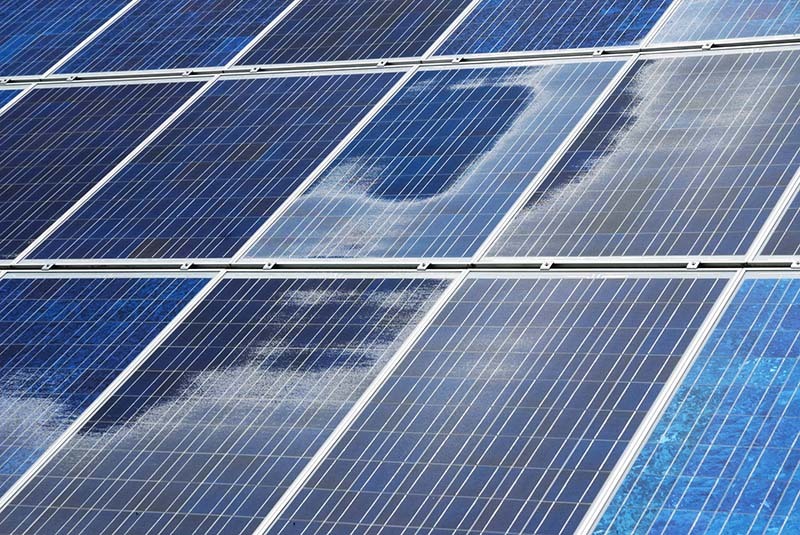 Not all solar panels are eligible for the Feed-in Tariff payments, as this scheme is only for electrical generating renewable equipment, such as photovoltaic panels. If you have solar thermal panels, you can still take advantage of government grants and schemes, such as the Renewable Heat Initiative (RHI). Will the FIT payments follow me if I move house? No, the FIT payments do not follow you to your new home, even if you bring the solar panels with you. The FIT payments will be passed on to the new property owner (as long as the solar panels remain in place) for the remainder of the FIT payment period. You can have solar panels installed on your new property, and will receive the FIT payments for the full 20 year payment, or as long as you own the property. Will changes to the FIT scheme rates affect me? No, your FIT payment rates are locked in for 20 years from your eligibility date, so you do not have to worry about future decreases in the Feed-in Tariff rates. How long will I receive the Feed-in Tariff Payments for? The Feed-in Tariff payments will be locked in for 20 years from your installation date. The payment rate will stay the same during the entire length, so any future decreases to the FIT rates will not affect your payments. Can I use second hand solar panels? Unfortunately, you must use new MCS approved solar panels to qualify for the Feed-in Tariff scheme. You must also use an approved MCS certified installer for your solar photovoltaic installation. How are your Feed-in Tariff payments calculated? As part of your solar panel system, you will have a meter installed which will provide readings of your energy production. These readings will determine the amount you will be paid as part of the generation tariff. Your export tariff payments will be calculated with a smart meter, however if your property has not had a smart meter installed, the export tariff will be calculated as half of your total power generated. Now that the Feed-in Tariff scheme payments have been cut, are solar panels still worth the investment? Yes, solar panels are still a great investment. Not only are there an array of environmental benefits, but the feed-in tariff will still help cover the costs of the installation. You will also benefit from electricity savings, which can amount to more than a 50% reduction in your electricity bills. Solar panels have an extremely long life span, often lasting 40-50 years, and will provide a lot of free renewable electricity over that period. 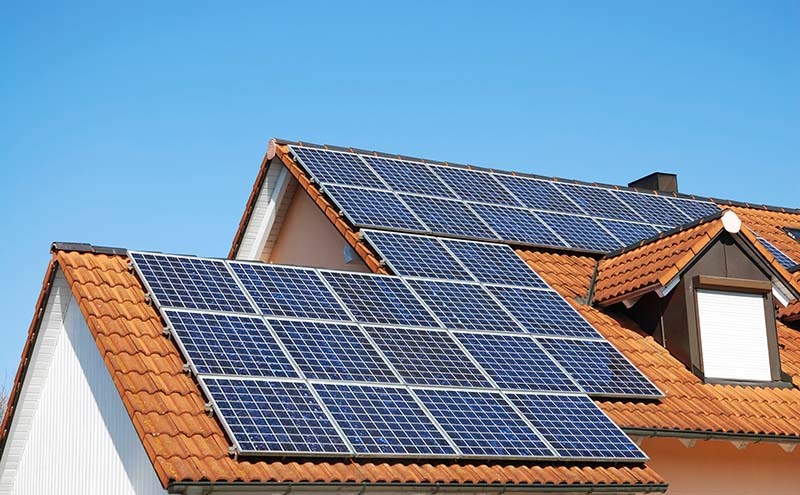 Solar photovoltaic panels also add value to your property, increasing the market value.